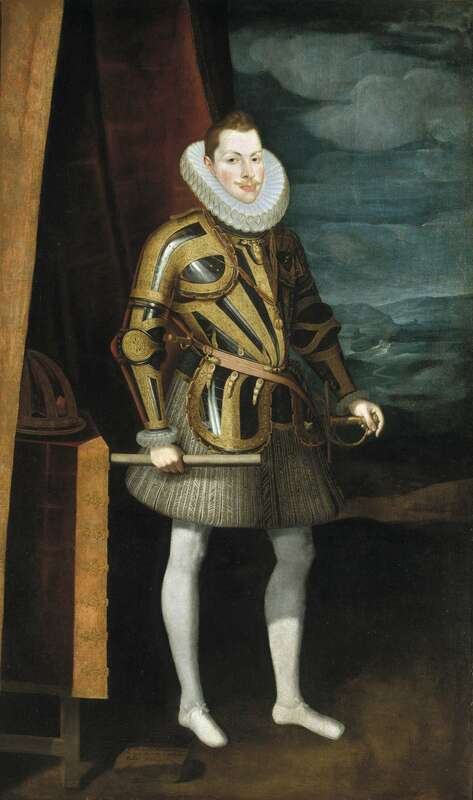 Philip III of Spain (Spanish: Felipe III; 14 April 1578 – 31 March 1621) was King of Spain (as Philip III in Castille and Philip II in Aragon) and Portugal. A member of the House of Habsburg, Philip III was born in Madrid to King Philip II of Spain and his fourth wife and niece Anna, the daughter of the Emperor Maximilian II and Maria of Spain. Philip III later married Margaret of Austria, sister of his cousin Ferdinand II, Holy Roman Emperor.